Nearly a year after Hurricane Harvey submerged Port Arthur, students are still fighting its effects as they return to school. When Hurricane Harvey slammed into the Texas coast last year, it upended the lives of the state’s teachers and students — in the classroom and at home. PORT ARTHUR—The mid-June clouds stark white and heavy with impending rain, Darby Dugay listened for the splatter of falling drops, noting that the foul weather might delay her basketball practice. Nearly a year after Hurricane Harvey submerged coastal Port Arthur, the rain still brings the 17-year-old’s heart rate up, especially when water overflows the long-neglected drainage ditches lining the neighborhood's sidewalks. And her fear is justified: That summer storm filled the family’s garage with water, ruining a couple of boxes of clothing, and leaked through the roof, significantly delaying the contractors who had finally started repairing the house. 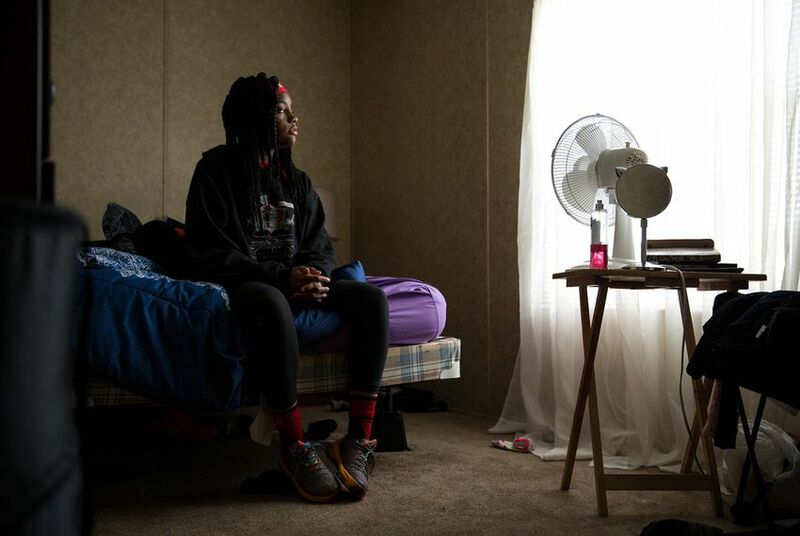 Dugay and her mother Angela, who is 53, each have a room in the trailer, and her 80-year-old grandfather, Herman, sleeps sitting up in the living room recliner, where he finds it easier to breathe. As students across southeast Texas prepare to head back to the stability of a regimented school day, many in the area are still living in small trailers, stuffed into rooms with aunts, uncles and grandparents while their parents argue with insurance providers and desperately hunt for contractors who won’t rip them off. Mental health providers say the stress and instability are exacerbating existing anxieties and traumas. And they don't expect the problem to let up any time soon, even as the hurricane fades from public consciousness. More than 75 percent of Port Arthur ISD's students were displaced from their homes by Harvey's flooding and had to move into hotels or trailers or with relatives. 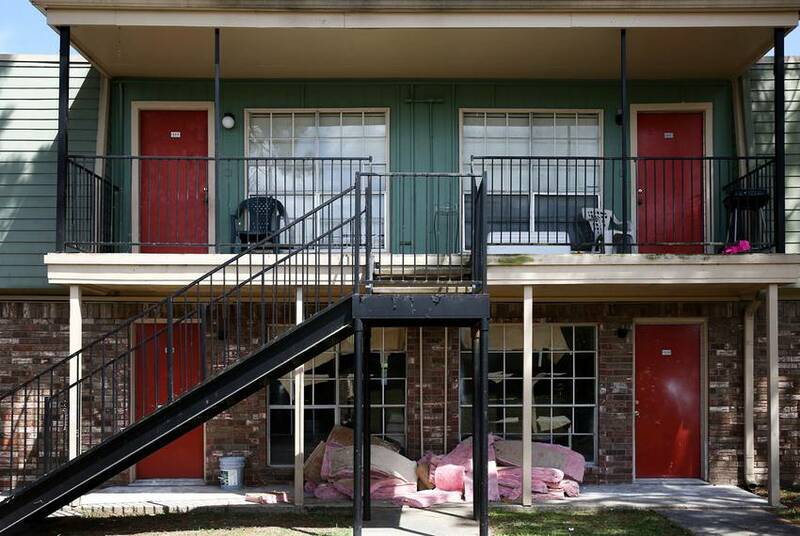 About 500 students had to leave the district to find shelter; they have slowly returned after the completion of apartment remodels or when their families find other homes. "A lot of these kids and adults are still living the trauma because they're still living in shelters, they're still living displaced, they're still living in multi-family residences, they're still living in storage containers," said Tommy Smith, a mental health liaison for Spindletop Center, a community mental health clinic in neighboring Beaumont. "Harvey's not over for a lot of the communities around here." "Where else are they going to go?" Two months after Hurricane Harvey hit, Gov. Greg Abbott tasked three state agencies with creating a comprehensive list of mental health resources and helping link schools in need of help with the right organizations and agencies. And when a student killed 10 classmates and teachers in a rural Houston-area school this spring, state lawmakers held a series of public hearings about how to screen students for mental health issues early and head off potential violent outbursts. But neither effort has resulted in consistent financial support that would allow schools to double the number of counselors to meet the ratio recommended by the American School Counselor Association. And many state and local efforts to train mental health professionals and teachers across the state to help students talk through their post-Harvey trauma are grant-funded, with specific parameters and set end dates — limiting the scope of their efforts. Texas school districts have historically leaned on community organizations to help boost their capacity to counsel students. In the Houston area, a coalition of almost 20 community organizations met regularly last school year to share the successes and challenges of their individual efforts, and brainstorm ways to coordinate services in schools across the region. Right after Harvey, school districts "needed immediate resources to help children and families and also they needed training in trauma. They were desperate for that," said Janet Pozmantier, director of the Center for School Behavioral Health at Mental Health America of Greater Houston, the lead organization in the coalition. "The state is kind of playing catchup to what we had to start doing here in Houston." 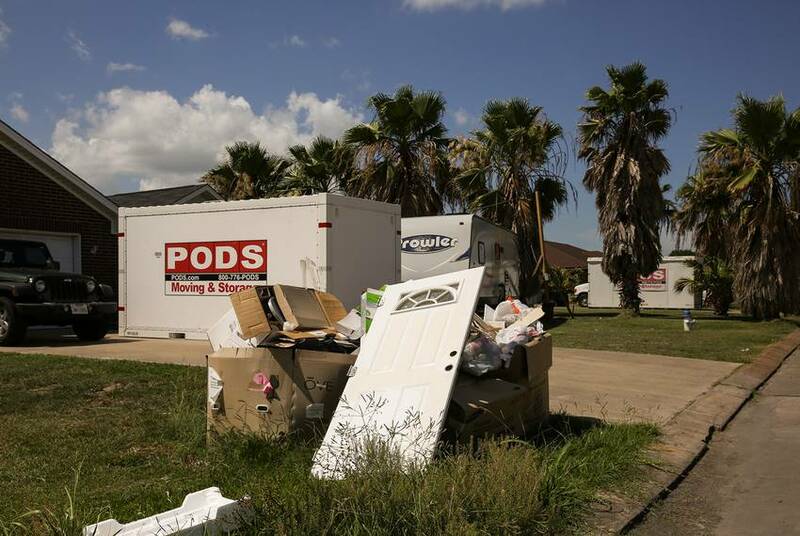 But tiny Port Arthur, with about 55,000 residents, has fewer local mental health resources than a big metro area like Houston, hampering efforts to help the growing number of people being pushed to their limits in the months after Harvey. And many people here say there's still lingering anger and bitterness about not receiving the same attention and resources from the state as Houston did, despite the extensive destruction in this corner of the coast. "We do get forgotten about," said Kim Phelan, who started the Behavioral and Mental Health Consortium of Southeast Texas last spring to organize mental health initiatives in the region. "I don't think people are really aware of just how ... this community has been impacted by this hurricane." Local mental health professionals say they're seeing more teenagers seeking help for mental health crises — with little corresponding increase in the number of beds available. Sally Broussard, behavioral health administrative director for Baptist Hospitals of Southeast Texas' Beaumont Hospital, said the hospital typically sees fewer teenagers in the summer when school is out. But this summer, they've had to find ways to make space for up to 14 teens in a unit that is staffed for 10. "Where else are they going to go?" Broussard said. "There's no other facility around here. "More than anything, adolescents need boundaries, stability, some predictability to their lives, and all that got thrown out of the window," Broussard added. "They didn't know about their schools. They didn't know about their homes. They didn't know what was going to happen with their families' jobs. All of that thrown into the mix just creates everything you don't want for mental health." Broussard recalled having to turn away a 10-year-old who had attempted suicide; the behavioral health hospital does not take kids under the age of 13, forcing parents to shuttle their young children miles away to Austin or Houston. The hospital recently received a state grant that will allow it to open a unit for children ages 6-12. Even students who were not in crisis struggled. In the beginning of the year, many students at Port Arthur ISD's Abraham Lincoln Middle School were sad and angry, said Camilla Washington, who coordinates counseling and other services for the school through the nonprofit Communities in Schools Southeast Texas. The organization stationed more licensed mental health professionals in Port Arthur and Beaumont schools after Harvey, said executive director Reecie Goodman. In part, they worked to train educators to distinguish between a student acting out and a student dealing with anxiety. "The kids didn't really know how to channel their energy and say what the problem was. Some would be angry," Washington said. "There was a lot of acting out." Washington said her 12-year-old daughter, who is terrified of drowning, became more clingy after the family was rescued from their flooded home during the hurricane. And her 8-year-old son gets anxious in the rain. "It rained one time and he was like, 'Oh, Mama, our house isn't going to be flooded again?' And I said, 'Oh, I hope not!'" Washington said. "I get that way too sometimes but I try not to think about it," she added. Port Arthur ISD is hiring two additional social workers, one for the elementary school and one for the high school, said Superintendent Mark Porterie, who is still living in a two-bedroom trailer with his wife and daughter while his house is being repaired. Porterie recognizes that many in the community are still coping with difficult emotions. "As long as you can work, you're thinking you're OK. But until you stop and just think about what you've gone through and deal with the loss, you can't start healing, I think," he said. "People say they're OK. But it's almost like going through a death. People have to go through the stages." Dugay heads back to school to begin her senior year this week, to start a full slate of Advanced Placement classes. She'll feel a gap in her social circle, since two of her friends in younger grades moved with their families to Louisiana after the hurricane, with no plans of coming back. She prefers not to talk about her struggles and says she didn't open up much last year to her teachers or friends. "They probably going through their own problems. Why they need to know about mine?" she said. 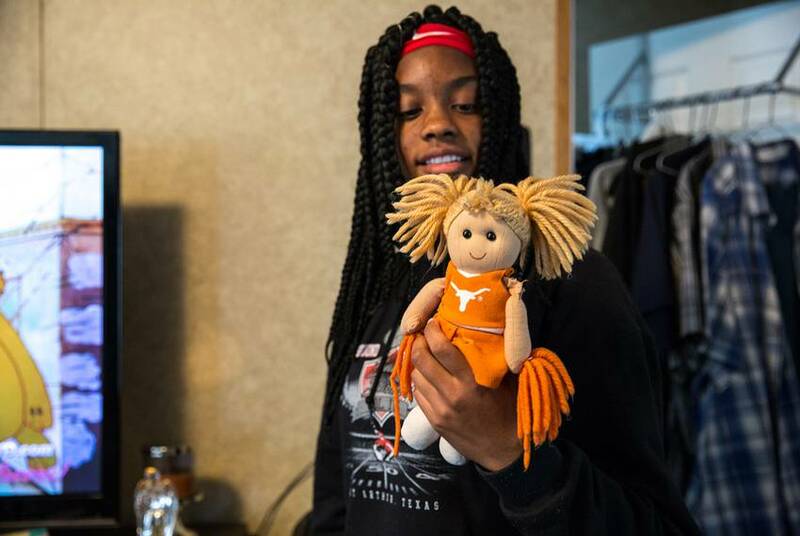 Instead, she finds solace in her packed extracurricular schedule, which kept her busy even in the summer as she rotated between basketball, softball and band practice. As she goes into her senior year, she plans to focus on her dream: majoring in music, maybe somewhere like Texas Christian University. As a child, she spent hours learning to play songs from the radio by ear on her family's grand piano, which was also lost to Harvey's floods. This summer, Memorial High School's senior class organized a bowling party on "$2 Tuesday" at the local Max Bowl, where almost a year earlier, Dugay and her relatives had briefly sheltered alongside hundreds of locals seeking safe, dry ground. At the party, the teenagers hefted bowling balls down the lanes, played arcade games, and just hung out and chatted. "We were just trying to make the best of it," Dugay said, "making sure nobody in our class feels left out or sad or ever thinks about Harvey." This story was produced with the support of an Education Writers Association Reporting Fellowship.